Children have a high propensity to misinterpret situations, and need their perceptions about events validated. Different kinds of events call for different kinds of intervention and the insidious effects of chronic domestic violence have impact on the development and mental health of children exposed to abuse. We reviewed some of the methods for addressing the behavior during/ post abuse and consider here some of the generalities about the many conflicts that can arise in shared custody relationships. According to Lundy Bancroft in his book, When Dad Hurts Mom, Helping Your Children Heal The Wounds of Witnessing Abuse, the deeper you delve into the child’s experience, the more you will be able to make them feel that you are holding them through their confusion and distress. Children experience domestic violence by seeing incidents happen or witnessing the after effects of an altercation, hearing the incidents take place, witnessing the impact on the survivor, and sensing the atmosphere of intimidation. But children’s interpretations and perceptions matter as much as their experiences. Children will often blame themselves for parental disputes and so it is important to learn what they understand about what had happened and to clarifying the feelings/meanings which they had assigned to events witnessed. Without exaggeration or over promising validate, reassure and clear up misconceptions. Most children hide their feelings, and as a result may exhibit abnormal side effects triggered by things that happen around them, confuse, or generate a strong emotional reaction. Researchers have found that a range of behavioral problems is common. Therefore encourage children to talk about their feelings and traumatic events explicitly to validate their sense of reality. In fact, the emotional effects of witnessing domestic violence can be similar for children exposed to violence on a battlefield in that both groups endure loss, uprooting, and separation. But it may come as a surprise that the effects of domestic violence should be looked at as potentially more emotionally damaging to the survivor. Consider “symptoms of PTSD from crisis and domestic violence fall into 3 groups (Re-experiencing, Avoidance & Numbing; & Increased Arousal) here “Type 1 Traumas” are defined as responses to single, sudden, unexpected stressors and “Type II Traumas” long-standing, chronic stressors (e.g., chronic family violence). That “Type II traumas may result in secrecy and silence, (i.e. sexual abuse) Contrasts clearly with dramatic public events (i.e. disasters), Type II traumas. Sometimes an abuser may use visitations to undercut the survivors efforts, and attempt to create post-separation difficulties on the survivor. Survivors are encouraged not to speak badly about the abuser to their children. Researchers have found that the closer children feel to the abuser the more deeply hurt they are by their mistreatment. Here children may do an about-face and blame the survivor reproachfully asking them to forgive the abuser. Studies have also found that the closer children feel to the survivor, the better they do and that the better the children understand what is happening, the easier/healthier the situation can be. More work must be done to investigate the scope of broad effects domestic violence, and recognize the seriousness of the attention needed to access its effects on society. In “Voices of Alzheimer’s” and the Caregiving.com article “Do We Need a POA for Love?” both cover the idea of love after dementia and the ethics of relationships outside of marriage when one spouse has dementia. I thought of these dementia caregivers/spouses who are essentially pre-widowed. They have lost their spouses in mind due to dementia, though they remain living in body. They seem to be caught in this middle ground where life is in a holding pattern. They can’t move on and yet they can’t stay the same. I don’t think it’s fair to impose preconceived ideas of relationships/marriage on caregiver spouses going through a slow death of a dementia stricken spouse. Their needs for love and companionship are important and vital to their health. These are individual ethical decisions that each spouse must make in their own situation. However, I felt that the author of the article brings up a very interesting point when it comes to the children of these marriages. She questions the idea of designating “advanced directives” if you will, to address the wishes of the spouse in a way that would put the family at ease. I found these ideas and ethical topics to be very thought provoking, difficult to weigh in on as they are so individual and impossible to pass judgment on as an outsider. All in all, the issues are important and worth considering. 3. Peterson, B. (2004) Voices of Alzheimer's: Courage, Humor, Hope and Love in the Face of Dementia. 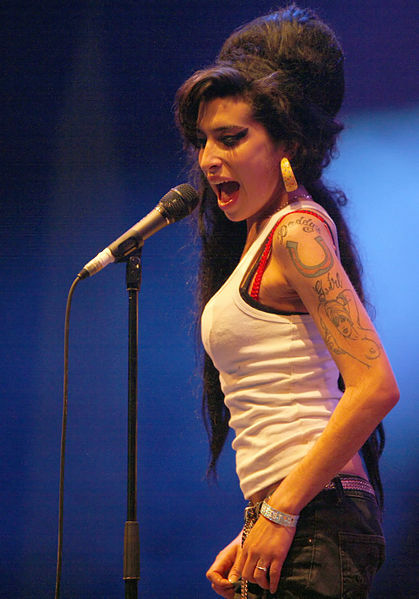 British singer-songwriter, Amy Winehouse, best known for contralto vocals in R&B, soul and jazz styles has died at age 27. Ms. Winehouse won 5 Grammys for Best Pop Vocal Album, Record of the Year, Song of the Year, Best Female Pop Vocal Performance, and Best New Artist in 2008. After her Grammy wins, her Grammy winning album 'Back to Black' rose to #2 on the charts. The news of Ms. Winehouse's death hit fans hard, as it became Twitter's #1 trending topic, representing 10% of worldwide tweets (equating to about 20 million Twitter users.) Additionally, many celebrities that knew Ms. Winehouse shared their messages of grief and goodbyes over Twitter as well. A private funeral for family and close friends will be held on July 26, 2011 in London, England. TV Legend and Creator of "Gilligan's Island" and "The Brady Bunch", Sherwood Schwartz, has died at age 94. Although he set out to begin a career in biology, his writing for Bob Hope's radio show quickly changed his course toward comedy writing. He received an Emmy award in 1961 for the Red Skelton Show and received a star on the Hollywood Walk of Fame in 2008. 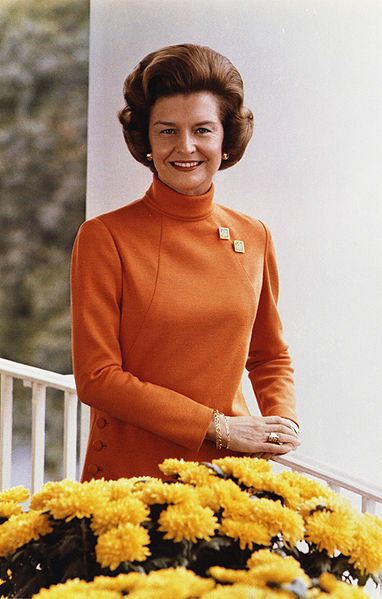 Former first lady, Betty Ford, has died at age 93. Mrs. Ford was a well known leader of the Women's Movement, an activist for the Equal Rights Amendment, a Pro-Choice supporter and raised awareness of breast cancer following her own mastectomy in 1974. In the 1970's she raised awareness of issues surrounding addiction when she bravely announced her own battle with alcoholism. She established the Betty Ford Center in Rancho Mirage, CA in 1982, for treatment of chemical dependency. In 1991 Mrs. Ford was awarded the Presidential Medal of Freedom and in 1999 she received a Congressional Gold Medal. Several hundred fans and former members of the band, The Doors, gathered this last Sunday, July 3, 2011 to remember lead singer, Jim Morrison, who died 40 years ago in 1971. Although Jim Morrison was just 27 years old when he died, he fit a notable career into his short life as a successful musician, songwriter and poet, as well as a filmmaker and actor. Several of his books of poetry continue to remain available publication. The Doors records have sold over 35 million in the USA and over 100 million worldwide and in 1993, the band was inducted into the "Rock and Roll Hall of Fame." Today was a good day. 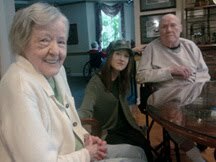 I had the privilege of spending 3 hours with my grandparents at their assisted living home in Southern California, after not seeing them since September of 2010. I was happy to find their health and cognition was better than I expected. (I always imagine the worst as I live at a distance and phone calls are difficult due to hearing.) Although my grandmother (who has dementia) could not remember some things we brought up (her former job, my husband’s grandmother), she did remember me and told me how happy she was to see me. She even told me she loved me as she patted my arm. It was about 2.5 hours into my visit at that point, and came as a complete, but wonderful surprise. This is what fascinates me about dementia and Alzheimer’s. I recently read a book about Oscar, the cat that seems able to predict death in a dementia ward of a skilled nursing facility. The geriatrician who wrote the book interviews families, and all the families commented on the selectivity of their loved ones’ memories. For many, feelings seem to be immune to the memory barrier of dementia. One particular family spoke of how when their mother and aunt ended up with dementia and were in the nursing home at the same time, they decided to place them in the same room because they’d always been close and lived together in the past. Although the sisters could not recall their own names, or each other's, somehow the feelings they’d had toward each other remained. Their rapport and connection was apparent even during the throws of dementia. I often waiver between regrets, wishing I done more with my grandma while she was cognizant, wishing I’d listened more closely, recorded more stories, never been a rude and rotten teenager. I must live with all these regrets, but somehow today it felt that her dementia has bought me the forgiveness I was never able to allow myself. She can’t remember the bad; she just remembers the good. It’s a lesson to me. There are so many things I would be wiser to let go of. I am grateful for what I have learned in how to deal with dementia. During my visit today, I didn’t correct my grandmother. When she said, “I don’t know”, I said, “That’s okay” or “It’s not important.” When she clapped her hands or drummed her open palm on the table, I made eye contact and smiled. I believe what I have learned of dealing with dementia allowed this visit to be one of the best visits I’ve had with my grandmother since dementia took hold.